Back with a new post after being a bit absent as of late! I posted on my Instagram, but I had to have surgery earlier this week. It was a procedure that’s left me out of commission the past few days. I’m hoping everything will be good after I’m healed but the pain has been unbearable as of late. So I’ve been spending a lot of time moving from the couch to the bed and watching Bravo! 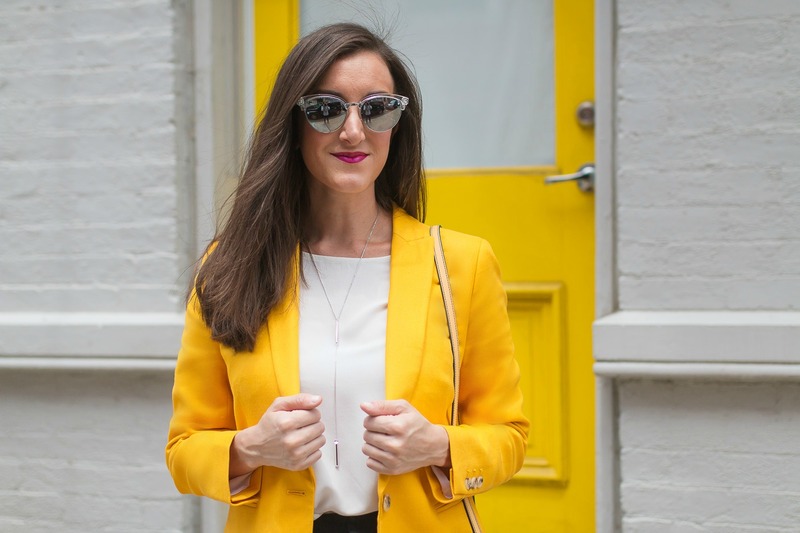 I’ve never met a blazer I didn’t like and that includes this bold yellow blazer from J.Crew! Now that it’s officially summer expect to see constant color in my wardrobe! I’ve purchased my fair share of J.Crew blazers over the years and I was thrilled when I saw this color being offered this year. They always fit perfectly and the range of colors never disappoints. While this summer has unfortunately been full of extra hot days, there have been a few moments where a linen blazer was the perfect addition for the weather. In the summertime, I really love pairing blazers with a tailored pair of shorts. It’s easy and makes you look effortlessly put together. For today’s outfit, I went with a black pair of tailored shorts, black pumps, and a white top. 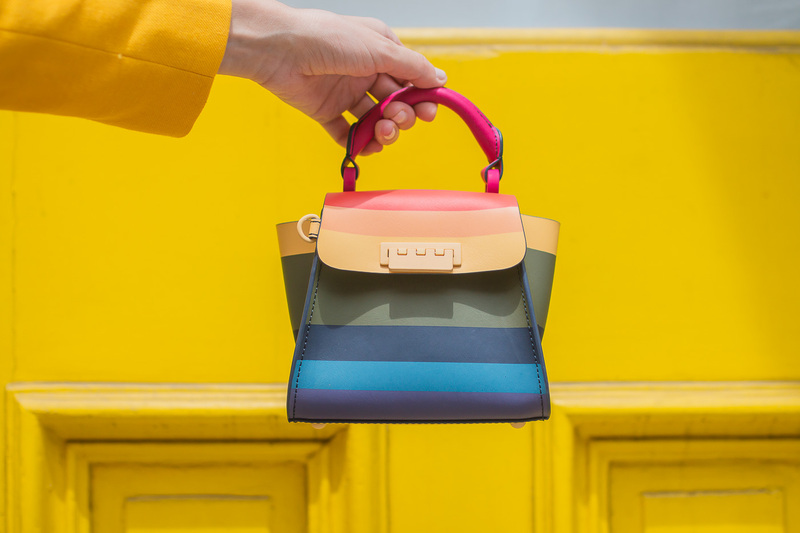 The real statement piece of my outfit is this stunning rainbow striped handbag from ZAC by Zac Posen! I picked it out as a birthday present and I could not be more in love with it. 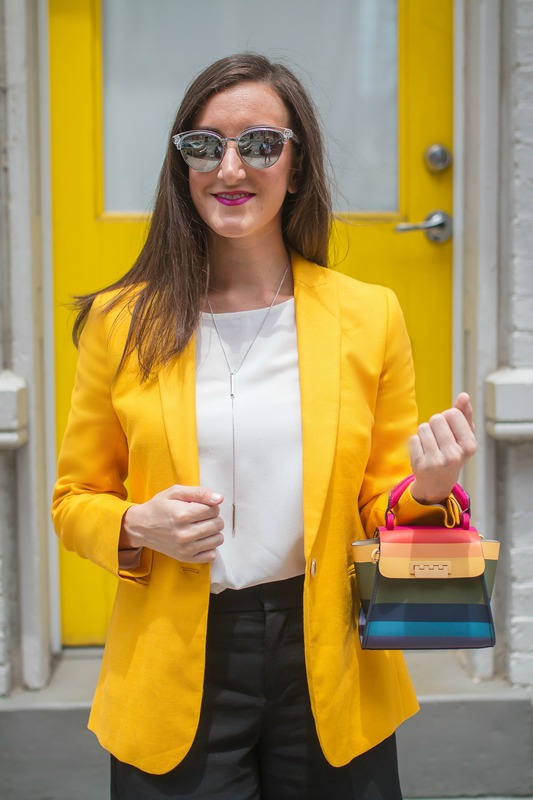 The colorful stripes fit my personal style to a T.
I wanted to keep my jewelry minimal but sleek. This Kendra Scott Shelton necklace is the perfect addition with a blazer, especially in this vivid yellow hue! Super cute outfit! 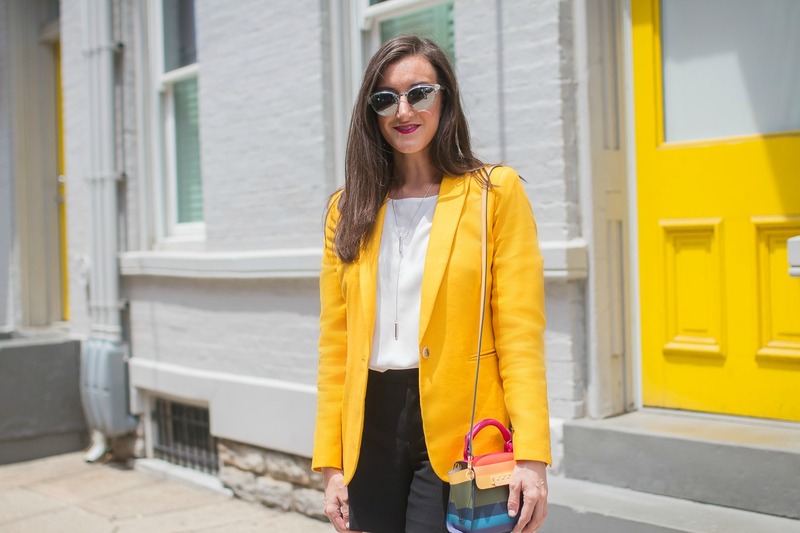 I love the daring yellow blazer.